Roger Federer defeated Milos Raonic 6-4, 7-6 (3) to mark his return from three months off with the Mercedes Cup title on Sunday in Stuttgart, Germany. Canadian Milos Raonic was looking at the bigger picture after a loss to Roger Federer Sunday morning in the Mercedes Cup final in Stuttgart, Germany. 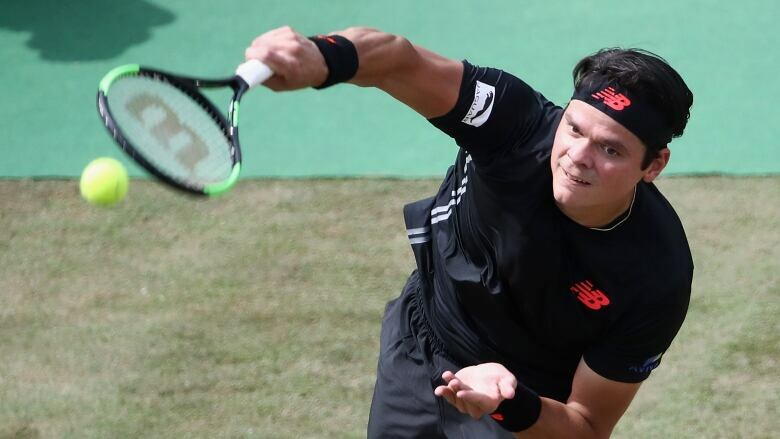 Raonic, who sat out some clay-court tournaments, including the French Open, with an undisclosed injury last month, fell 6-4, 7-6 (3) to Federer in Sunday's title match on grass. "I had some chances today but couldn't convert them," Raonic said. "I'm not far off from my best grass tennis," Raonic said. "Maybe I'm lacking the confidence for the right decision still. I hit the ball well, my service is good. Maybe I need a few more matches to get the confidence to make the right decisions in a split second." "It will all depend on how many matches I get next week and then I'll decide what to do in the week before Wimbledon," Raonic said.